Dr. Philip Edgcumbe (PhD) is a Canadian scientist, biomedical engineer, medical innovator, doctor in training (MDPhD) and entrepreneur. By connecting medicine, biomedical research, and entrepreneurship, Philip is striving to positively impact the health of a billion people. In 2017, Philip led a team which developed a crowdsourcing competition to End Alzheimer’s, raised $25 million USD to run the competition, and was selected as the top priority XPRIZE for launch in 2018. He has invented, patented and licensed a medical device and was part of two biomedical start-up companies. In 2014 Philip was the recipient the Outstanding Young Scientist award at the Medical Image Computing and Computer-Assisted Intervention (MICCAI) international conference. 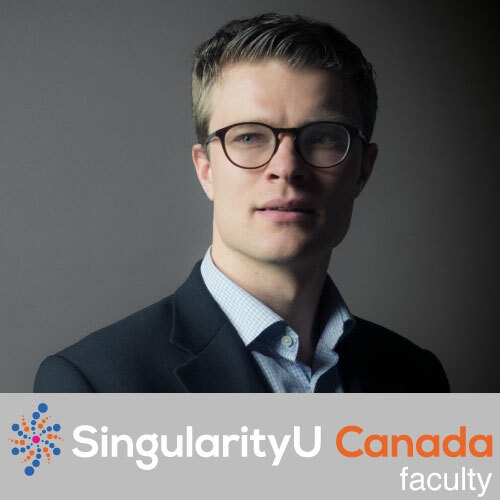 In 2016 he spent the summer in Silicon Valley at Singularity University where he applied exponential technologies to medical innovation. In 2017, he received the Canadian Medical Hall of Fame Award. Philip speaks internationally on the topic of Disruptive Technology and the Future of Healthcare.